From Liberty Hardware, the Mandara Knob is a simple design with subtle reflections from the glamorous art deco period. Crafted from die-cast zinc for long lasting quality and durability. Installation hardware is included. For an elegant accent on your cabinets consider the Liberty Chrome II Collection 3 in. Satin-Nickel Dual-Mount Vuelo Pull. This pull is made of die-cast zinc. The Casual style design and satin-nickel finish add a clean and classic design to your cabinets or furniture. Mounting hardware included for easy installation. 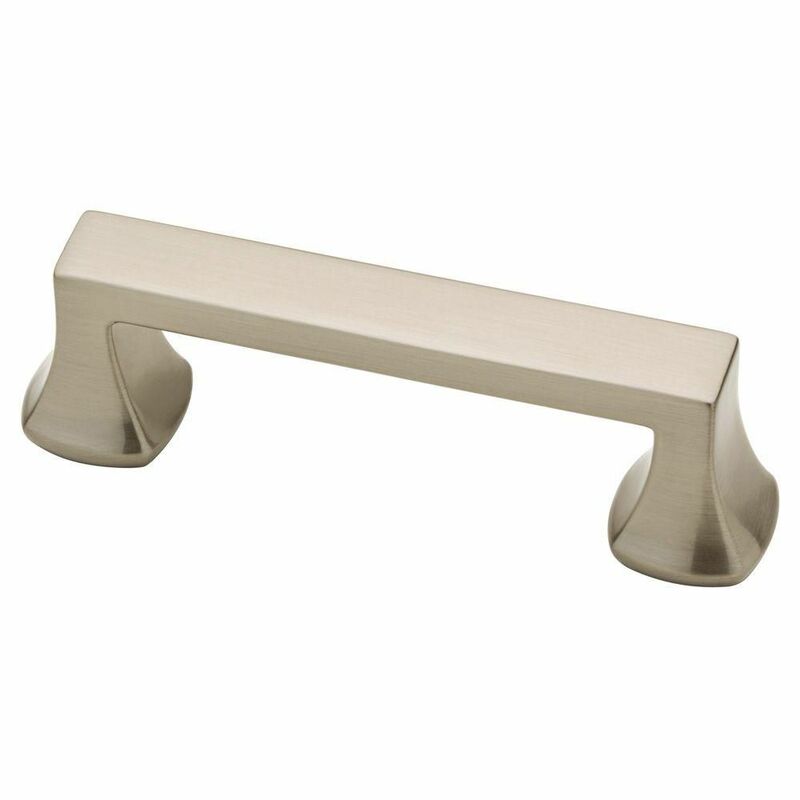 3 Mandara Pull, 1 per pkg From Liberty Hardware, the Mandara Knob is a simple design with subtle reflections from the glamorous art deco period. Crafted from die-cast zinc for long lasting quality and durability. Installation hardware is included. 3 Mandara Pull, 1 per pkg is rated 4.6 out of 5 by 28. Rated 5 out of 5 by Pendragon from High quality and good looking cabinet handle. Matches the drawer pull I purchased beautifully. Co... High quality and good looking cabinet handle. Matches the drawer pull I purchased beautifully. Comes with multiple length fasteners so as to fit different cabinet thicknesses. Economically priced. Rated 4 out of 5 by Grandma from I installed the drawer pulls three weeks. The pulls met my expectations. They give my cabinets an... I installed the drawer pulls three weeks. The pulls met my expectations. They give my cabinets an simple updated look. I am very pleased with them. Rated 4 out of 5 by Kim from Looks contemporary and well made.... Looks contemporary and well made.